The latest findings in seed physiologydiscussed as they relate to agricultural problems! Presenting the latest findings in the area of seed physiology as well as the practical applications of that knowledge in the field, the Handbook of Seed Physiology: Applications to Agriculture provides a comprehensive view of seed biology and its role in crop performance. Key topics include seed germination, crop emergence, crop establishment, dormancy, preharvest sprouting, plant hormones, abscisic and giberellic acids, weeds, grain quality, oil crops, and malting quality. Abundant case studies provide information of value to researchers, students, and professionals in the fields of seed science, field crop research, crop science, agronomy, and seed technology. Extensive reference sections accompanying each chapter include both foundation texts and current research. Principles and concepts discussed in the text are elaborated upon through equations, figures, and tables covering such topics as water and soil thermal regimes; seed water potential; temperature and water effects on germination; free radical attack; and molecular structures. Exploring concepts, techniques, and processes related to seed germination and crop establishment, this comprehensive, one-of-a-kind reference is an indispensable tool for seed scientists and agricultural professionals. 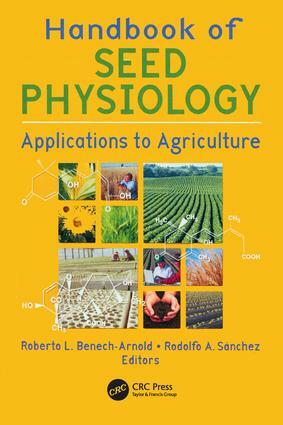 Add it to your library today and put seed physiology research to work in establishing high-quality next crops! How Is Dormancy Level Expressed? How Do Free Radicals Cause Lipid Peroxidation? What Is the Influence of Seed Moisture Content on Free Radical Assault? Do Free Radicals Attack Only Lipids? Why Suspect Free Radical Attack on Mitochondria? How Are Seeds Protected Against Free Radical Attack?